There's nothing I love more than reading a book in the sunshine. On a beach, in the garden, or a park; I'm not fussy. It's fair to say this never happens any more. Never. I took a book to the beach with the kids one day last summer. Hahahaha! Anyway, books and sunshine are a perfect combination, if you ask me. Albeit a rare one. I try to refresh our bookshelf a little each season. Although Ayden has other ideas and still insists on reading a book from our Halloween collection every night! These books aren't exactly spring-themed, but they're bright, colourful and we love them. 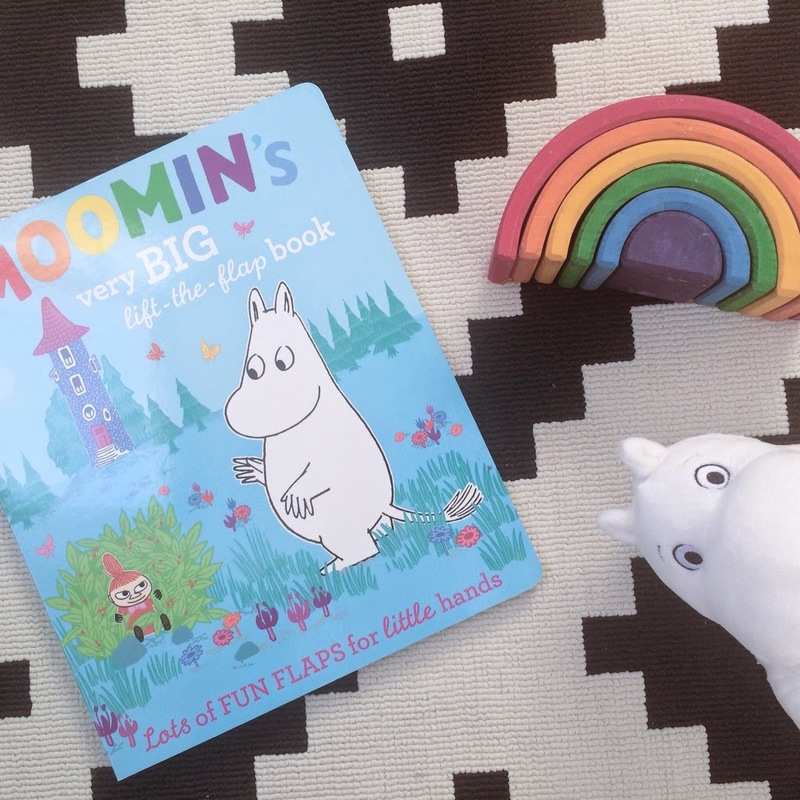 I was a huge Moomin fan as a child and so excited for this book to arrive. I wasn't disappointed. 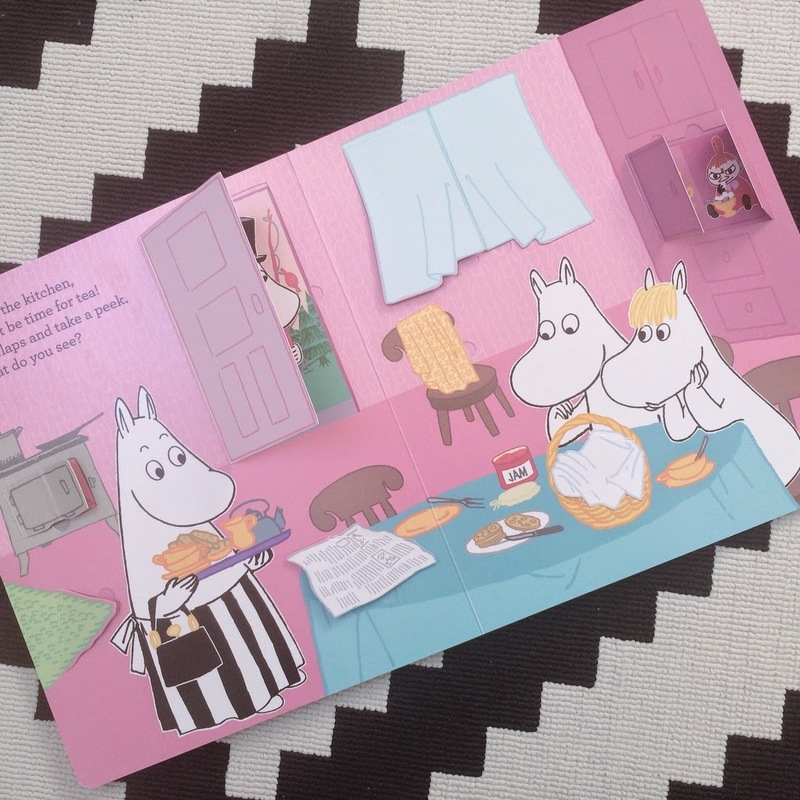 The illustrations are adorable and the fact it's a lift-the-flap book... well, it doesn't get much better than that, if you ask me. All three of my children sat down to read it and took it in turns to lift the flaps and ask Ayden what was underneath each one. Ayden really enjoys the book and asks to read it most nights. After Dracula! 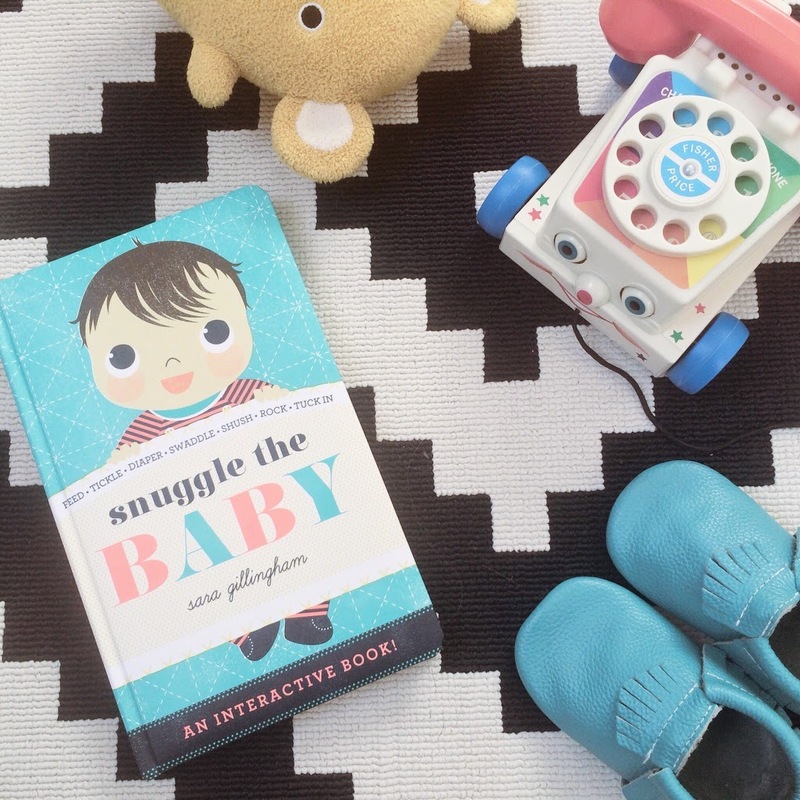 I'd seen Snuggle the Baby on a few of the Instagram feeds I follow, always with rave reviews. They were right. This book is really unique and interactive. It's become a real favourite in our house. Ayden is fascinated with babies at the moment, so I knew he'd love it. Meryn adores it too and reads it to him most days. 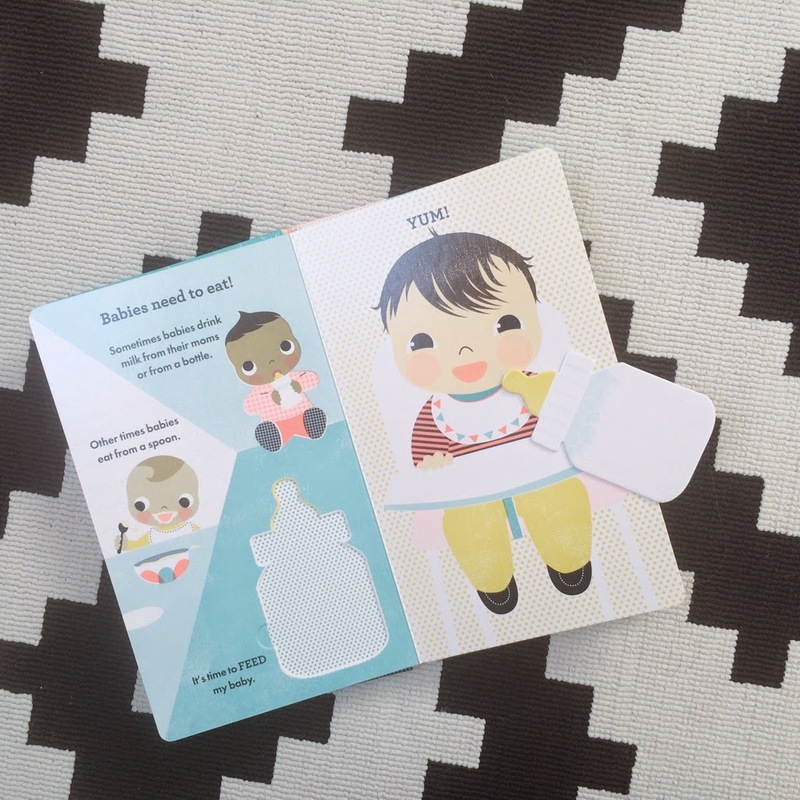 You can lift pieces out of the book, like a bottle to feed the baby, and change the baby's nappy. It really is a lovely book. After a particularly rainy, Xbox-intense morning during the Easter holidays, I asked Dylan to turn it off and go read a book for a while. His reply was that "books are rubbish". Say what? Nuh-uh. Not on my watch matey. So I set about re-igniting Dylan's enthusiasm for reading. We've always read to our children every night since they were babies. They have school books to read to themselves each week, but other than that, we read to them. I was such bookworm as a kid and remember getting hooked on a series of books and being desperate to read the next one. I wanted to find a series that would help Dylan and Meryn to feel the same way. 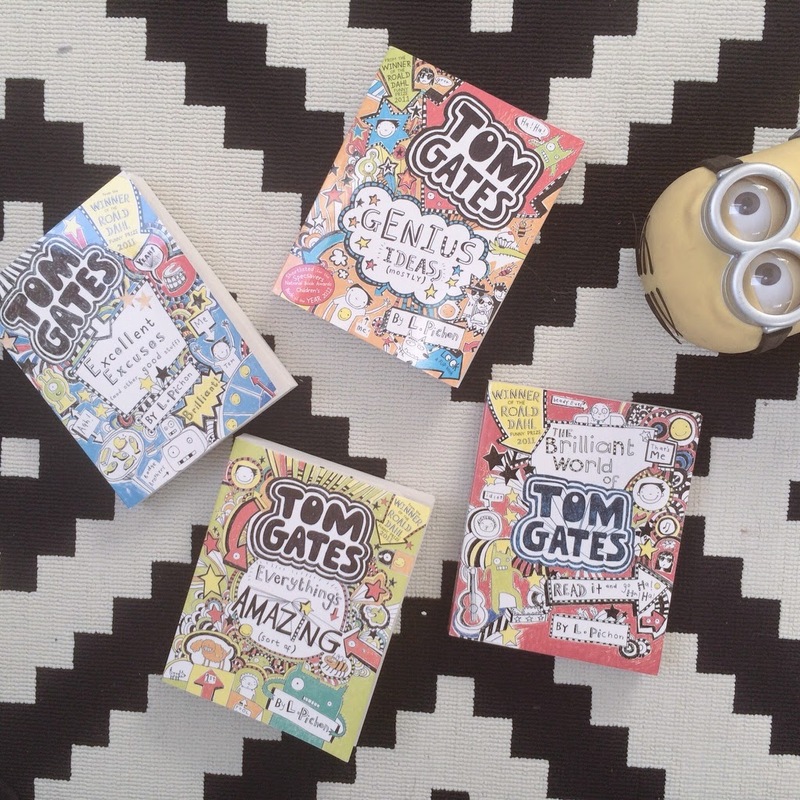 We've read most of the Roald Dahl and David Walliams books to them, so I did some research and came across the Tom Gates series. Mission accomplished. Dylan has read four books from the series in as many weeks and is hooked. Meryn is reading them too and loves them just as much. I can hear them giggling away in bed as they read and it's the best sound ever. 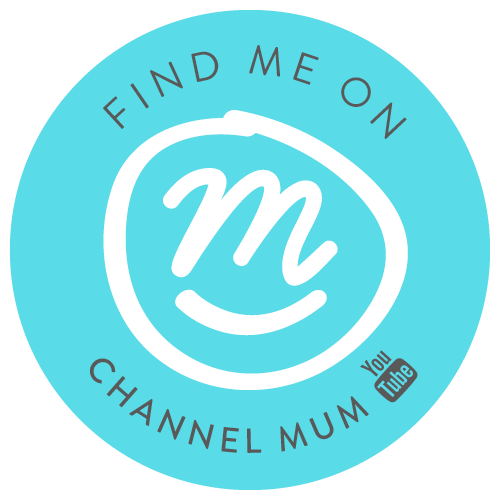 So, thank you Liz Pichon. My little bookworms approve. I'm always on the lookout for new book recommendations for my little ones. What are you reading at the moment?